On August 31, 2018 the Annual meeting of LIFE programme projects in Latvia took place in Ķemeri. The aim of the event was to share progress information about LIFE programme projects in Latvia and their further plans, challenges, experience, and to express up-to-date issues and problems related to the implementation of the projects of the LIFE programme. Please find out more on project’s CAP LIFE LAT website. LIFE Viva Grass project was represented by the environmental expert Dana Prižavoite who held a presentation with the overview of the project implementation. 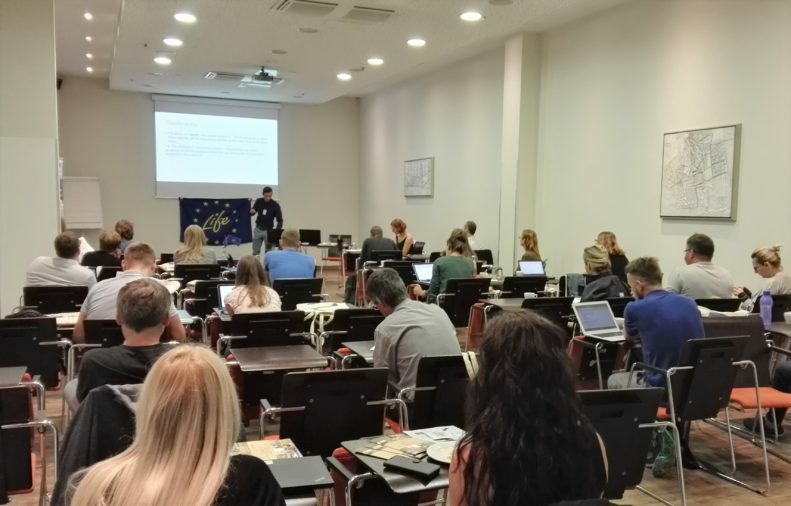 On September 21-22, 2018 the 3rd Baltic Networking Meeting brought together LIFE programme project representatives and National Contact Points, in Klaipeda, Lithuania. Baltic Networking Meetings are a chance for all those working with the LIFE programme in the Baltic Sea region to meet, exchange experiences and share best practices, as well as develop relationships for future cooperation and support in implementing LIFE projects. These events are a part of the CAP LIFE LAT plan to ensure that after the project a network remains to support new applicants and continue to submit and implement future projects. LIFE Viva Grass project was represented by the environmental expert Dana Prižavoite and she had a great opportunity not only to inform about the project but also share the knowledge and experience on various implementation aspects. Please find out more on project’s CAP LIFE LAT website. The project “Integrated planning tool to ensure viability of grasslands” (LIFE Viva Grass) No. LIFE13 ENV/LT/000189 is co-financed by the EU LIFE+ Programme, Ministry of Environment of the Republic of Lithuania, Administration of Latvian Environmental Protection Fund, Estonian Environmental Investment Centre and the project partners.